FHA vs Conventional Loans: Which Mortgage is Better for You? FHA and conventional loans are the two most popular mortgage options. Which is better for you? Learn about the differences and pros and cons of each. When you're shopping for a mortgage, you'll likely have to have decide between getting an FHA or conventional loan - the two most common lending options. You will find some variation in mortgage rates, depending on the lender, the type of loan, and the down payment amount. It's worth weighing your options as you're about to make one of the priciest purchases of your life. The government-backed loans from FHA (Federal Housing Administration) were once viewed as only for first-time homebuyers, but since the housing crisis, FHA loans have become the go-to option for even subsequent homeowners. Its relaxed underwriting guidelines and low down payment requirements make it an easy choice for many borrowers. In some cases, however, you may find an FHA loan does not surpass the benefits of the conventional loan. We'll help you understand the differences. The most obvious is leniency. With an FHA loan, you could put down only 3.5% of the purchase price and the lender may be more open to working with if you have a less-than-ideal credit score. Conventional loans are more stringent when it comes to who they will lend to and will want for down payments. No matter which loan type you decide on, you need a bank's approval. There are more limitations with FHA loans (which are government-backed, not government funded). Only FHA-approved banks can provide these loans. The FHA provides these banks with a guarantee. If a borrower defaults on their FHA loan, the FHA pays the bank back what it lost. Conventional loans do not have this guarantee, and for that reason, banks are more willing to give out conventional loans. So which loan type is right for you? Here we discuss qualifying for each loan type. You need a minimum credit score of 580. In general terms, lenders consider this "poor" credit, but the FHA allows it. In fact, even if you have a score as low as 500, you may qualify for an FHA loan. The difference is you would need a 10% down payment rather than the standard 3.5%. A higher credit score may mean that you are able to obtain the loan at a lower interest rate. You can have a front-end debt ratio up to 29%. The front-end ratio is your total mortgage payment compared to your income. This includes your principal, interest, taxes, insurance, and mortgage insurance (you'll have to pay insurance if your down payment is less than 20% of the purchase price). You calculate the ratio by dividing your mortgage payment by your gross monthly income. You can have a 41% back-end debt ratio. The back-end ratio is the percentage your total monthly obligations take of your gross monthly income. This includes your new mortgage payment and all other monthly debts. You calculate the ratio by dividing your total expenses by your gross monthly income. You only need 3.5% of the purchase price of the home for a down payment. The full down payment and/or closing costs can come from an approved gift from friends, family members, or your employer. If you suffered a foreclosure, you must wait 3 years from the date of sale before you can qualify for an FHA loan. If you filed for Chapter 7 bankruptcy, you must wait 2 years from the discharge date. If you filed for Chapter 13 bankruptcy, you must wait 1 year. Most lenders require a credit score of 680 or higher for conventional financing. You may qualify with a lower score, but the costs generally go up significantly with a lower score. This often makes FHA financing more attractive for those borrowers. The general debt ratio guidelines equal 28% on the front-end and 36% on the back-end. However, there are exceptions to the rule if you have compensating factors. We will discuss these below. Fannie Mae has a program that allows a 3% down payment for borrowers with low income. It is called the HomeReady program. You cannot make more than 100% of the average median income for your area to qualify. All other programs require at least 5% down for conventional loans. A 3% down payment is also possible with a Conventional 97 mortgage. The 97% LTV (loan to value) ratio means the required down payment is lower than the FHA loan. The 97 loan is a fixed rate loan, for single family homes or one-unit condos or co-ops. Gift funds can be used toward the down payment. 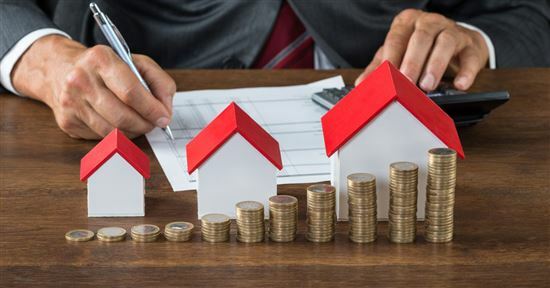 The home must be the buyer's primary residence, and at least one borrower must not have owned a home for the past three years. The minimum credit score required is 620. If you put 20% down on the home, the entire down payment can be funds that were gifted to you. If you put less than 20% down, some of the down payment must be your own money. The exact percentage depends on the lender and the conventional program you choose. Borrowers with a foreclosure in their past must wait 7 years from the date of the foreclosure. If causes outside of your control led to the loss of your home, though, you may only have a 1-year waiting period. If you filed a Chapter 7 bankruptcy, you must wait 4 years from the date of discharge. If you filed a Chapter 13 bankruptcy, you must wait 2 years from the discharge date. Government backed loans are referred to as conforming loans, and they conform to loan limits set by the federal government for mortgages that are acquired by Fannie Mae and Freddie Mac. In most states, the limit for a loan that is a conforming loan (ie not a jumbo loan) is $453,100. That loan limit is higher in Alaska and parts of Hawaii. Did you know: "Compensating factors" are factors that make up for a risky factor on your loan application. For example, if you have a 50% debt ratio, this is risky. However, certain factors can make up for this risk, such as your credit score or your savings after making the down payment. These are just examples. Factors that will win over lenders depend on their practices and programs, and it's often a subjective decision. Keep in mind, though, lenders can have their own requirements. They are called lender overlays. Fannie Mae (the government agency that buys mortgages) and the FHA have requirements every lender must follow. In addition, lenders can add more requirements. Because the lenders fund the loans, they can make the rules stricter if they choose. However, they cannot make them easier than what Fannie Mae or the FHA states. For more details on how to qualify for a mortgage, read our article "How to Get Approved for a Mortgage." 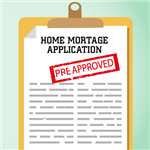 FHA and conventional loans also have different mortgage insurance guidelines. You will have to pay insurance every month if you are unable to put 20% down. You pay two types of mortgage insurance on FHA loans. First, you pay upfront mortgage insurance. You pay this at the closing. Today, it equals 1.75% of the loan amount. On a $200,000 loan, you would owe $3,500. You also pay annual mortgage insurance. If you borrow the typical 97.5% on an FHA loan, you owe 0.85% of the loan amount each year in mortgage insurance. Your servicing lender will charge this amount monthly, though. This helps make the payments more affordable. On the $200,000 loan, you would owe $141.67 per month, initially. The amount you owe each year decreases as you pay the principal balance down. There is only one type of mortgage insurance for conventional mortgage loans, called Private Mortgage Insurance. It only pertains to borrowers putting less than 20% down on the home. You pay the insurance on a monthly basis, just like the FHA annual insurance. The amount you pay differs based on your credit score and loan amount. As an estimate, you can figure between 0.5% and 1% of the loan amount. Just like FHA mortgage insurance, the amount decreases as you pay the balance of the loan down. There is one major difference between the two loan types, though. The FHA mortgage insurance premium (MIP) lasts for the duration of the loan. If you have a 30-year term and keep the home and loan for that long, you pay the insurance premiums for 30 years. It does not matter how much you owe compared to the value of the home. The FHA uses the insurance as its reserves. These reserves are how they pay banks back who have defaulted FHA loans. 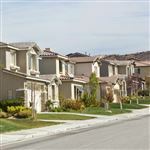 The only way to end the FHA MIP by refinancing with a conventional loan once the loan is 80% of the value of the home. If the value has appreciated, a new appraisal may reflect this increased home equity. Conventional loans, on the other hand, work differently. You only pay PMI if you put less than 20% down on the home. In addition, you can cancel the PMI when you owe less than 80% of the home's value. In fact, the law requires banks to cancel the insurance automatically when your loan-to-value equals 78%. Tip: You can find out if your home appreciated by paying for a new appraisal. If your home is worth more, talk to your lender. If you owe less than 80% of the new value, you can cancel your PMI if you chose to go with a conventional lender. The line between FHA loans and conventional loans can seem thin. First-time homebuyers often benefit from the FHA loan's lower down payment requirements. But there are certain situations when borrowers benefit more from the conventional loan. Here we will look at the "typical" FHA borrower and conventional borrower. ** You can use FHA financing on a condo, but the requirements are much stricter. The FHA must approve the development and association. Conventional loans do require condos meet certain requirements, but they are not nearly as strict as the FHA. FHA financing is generally more difficult to obtain for a condo purchase versus a single-family home. If you have an FHA mortgage and find that you owe more than your house is worth, or want to save money with a new rate and lower monthly payment, a streamline refinance may be the right move for you. No appraisal is required, and it is offered as a fixed rate or adjustable loan. The downside to FHA loans? FHA has stricter requirements on the property it will cover. If you fall in love with a fixer-upper, you may find it tough get your FHA loan to go through. The FHA will often prevent borrowers from closing on a loan until the seller repairs certain items - and sellers are not always willing to make changes. Conventional financing is not as tough on the appraisal. As long as the lender confirms the actual value of the home is close enough to the loan amount, they won't stop you from signing on the dotted line. If you have an FHA loan, you may find that you can achieve more of a benefit through a streamline refinance. This will not allow you to eliminate the mortgage premium, but it is a simplified refinance that can allow you to take advantage of lower rates. It is available without an appraisal or a review of income and credit scores. You must have had the loan for at least six months, be current in payments, and you cannot fold closing costs into it. 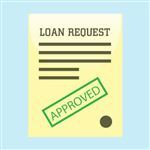 There are other government backed loans which are available from local lenders, which may be a better fit for you if you qualify. USDA and VA loans are guaranteed by the federal government, and have specific requirements for property types, and buyer eligibility. A VA loan can be a good way for an active duty member of the military or a veteran to buy a home for no money down. Oftentimes, if closing costs are an issue, borrowers turn to FHA financing because of their relaxed guidelines. You can receive up to 6% of the loan amount in closing cost help. This help can come from the seller, real estate agent, or mortgage lender with an FHA loan. On a $200,000 loan, this means $12,000. This is often more than enough to cover closing costs. Any closing cost help becomes a credit at the closing. This directly decreases the amount of money you must bring to the closing, making the loan more affordable. Borrowers with conventional financing do have the same option; however, they can receive a maximum of 3%. On the same $200,000 loan, this means $6,000, which may not be enough to cover closing costs. Do you not have enough money for a down payment of at least 5% plus closing costs? Do you have a lower credit score? Is your debt ratio on the higher side? Have you filed for bankruptcy or experienced a foreclosure? If you answer "yes" to any of the above questions, FHA financing may be a better alternative, as long as you can truly afford the house you're looking to buy. If you answered "no" to many of these questions, you may be a good candidate for conventional financing. This is especially true if you have a 20% down payment. Keep in mind how the mortgage insurance affects your mortgage payment. Whether you put less than 20% down on a conventional loan or you use FHA financing, you will pay mortgage insurance. The time you must pay it and the amount varies by program. You may qualify for conventional financing at some point in the future. This may enable you to eliminate PMI once and for all. A country rich in tradition and a mecca of many different ethnicities, Colombia has many traditions and customs that are known around the world. CreditDonkey is a mortgage comparison website. We publish data-driven analysis to help you save money & make savvy decisions. Editorial Note: Any opinions, analyses, reviews or recommendations expressed on this page are those of the author's alone, and have not been reviewed, approved or otherwise endorsed by any card issuer. *See the card issuer's online application for details about terms and conditions. Reasonable efforts are made to maintain accurate information. However, all information is presented without warranty. When you click on the "Apply Now" button you can review the terms and conditions on the card issuer's website. CreditDonkey does not know your individual circumstances and provides information for general educational purposes only. CreditDonkey is not a substitute for, and should not be used as, professional legal, credit or financial advice. You should consult your own professional advisors for such advice. Share on Facebook "FHA vs Conventional Loans"